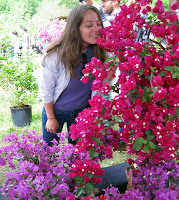 Last weekend, Joseba and I got green thumbs and headed to the 9th annual Plant Fair, held a few minutes from his home. With over 40 plant and flower vendors, the event was massive, and had over 7,000 visitors! Us being a happy two of them, we spent about 3 hours wandering between the booths deciding just which flowers to buy. Since we live in apartments, we obviously steered clear of fruit and veggies bushes or plants, although I would die to have a strawberry bush or an apple tree. Instead we ended up buying a little collection of cacti. Seeing as we just got back from Tenerife, where the cactus life was quite abundant, we bought 4 small cacti to remind us of the magical trip. Also, I will have a hard time killing them - even though I like plants, I'm not the best plant keep-aliver. We also bought a Japanese maple type tree that Grammy once had in her garden. With deep red leaves that get more and more intense with sunlight, the small tree will never grow to be massive, so we can happily maintain it on the balcony. Tickled pink (or maybe I should say fuscia or violet) with our purchase decisions, we took the opportunity to enjoy the fair more. Not only was it a flower/plant fair, but the location is the botanical garden section of the natural park, Pagoeta. 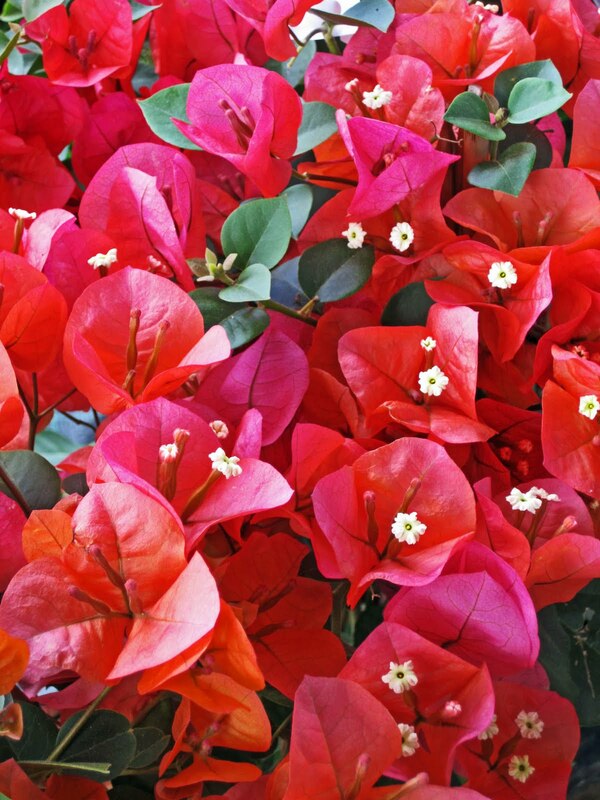 Called Iturraran, the botanical gardens are open year round and are home to many gorgeous blooms. Being spring, we were even more lucky to see so many lively plants bursting open. With vivid yellow irises, small peonies popping up and hot magenta roses to die for, the gardens were in full bloom. Among some of the flowers I grew up seeing in Grammy's garden, I did manage to see some I had never heard of before. One is called the King Protea or Honeypot, and is from South Africa (check out the photo to the left). 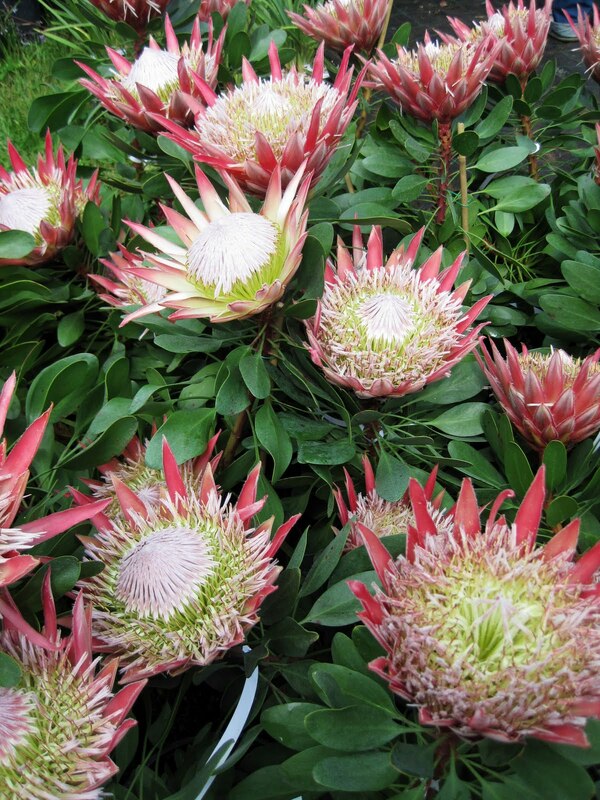 It is shaped like a cup which kind of looks like an artichoke with pinkish spikes jumping out of the center. 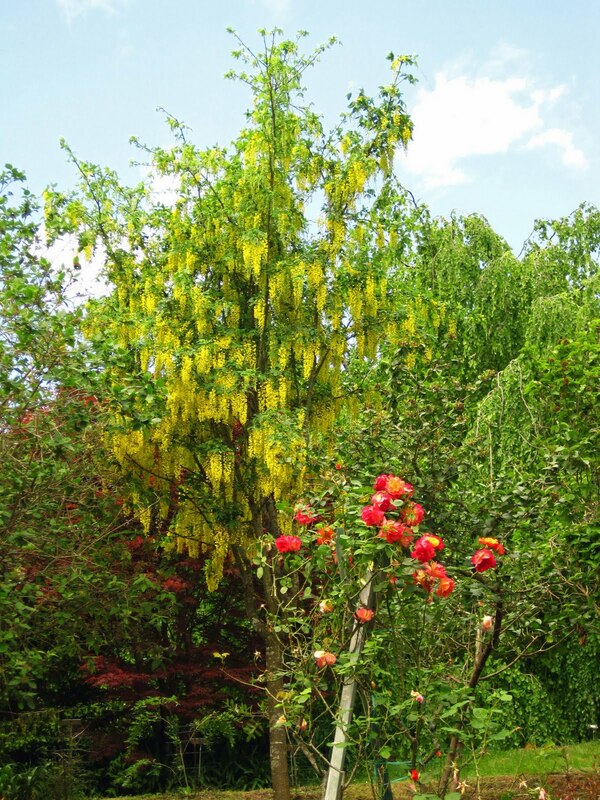 Another that really caught my attention was a tree called the Goldenchain Tree (photo on the right). I guess named so because when it is in bloom it looks like there really are chains of gold dangling from its branches. 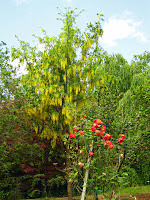 Think weeping willow but with eye-catching yellow blooms. While this blog didn't really provide you any extremly important knowledge, I had such a lovely Spring day and enjoyed all the flowers that I couldn't let the opportunity to share the photos with you all slip away. Hope you enjoy!